Garage Doors to fit…Your Home, Your Style, and Your Budget! Dallas Garage Doors Repairs & Installations is a company that installs overhead garage doors for existing garages and new construction garages. Dallas GDR Installations sells several choices of garage doors in and around the Dallas, Ft. Worth Metroplex. Our knowledgeable sales staff will provide a FREE in home consultation and estimate. 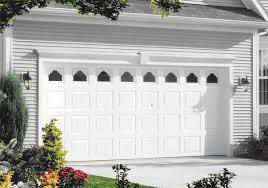 Our insured experts can offer repairs or install new garage doors. Dallas GDR Installations professionally installs garage doors, as well as, remove and haul away the old garage doors.